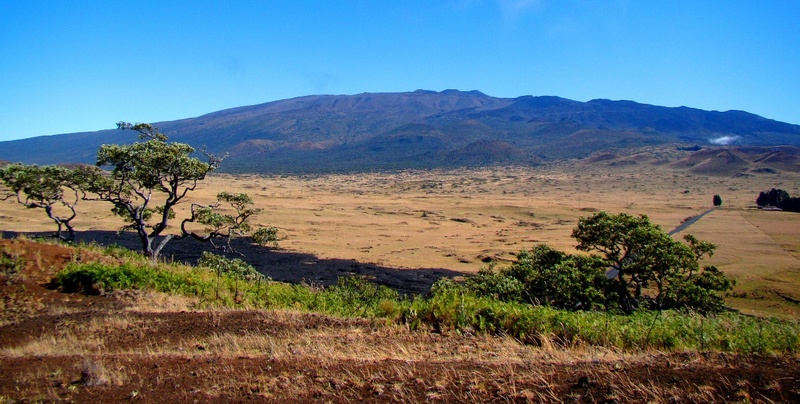 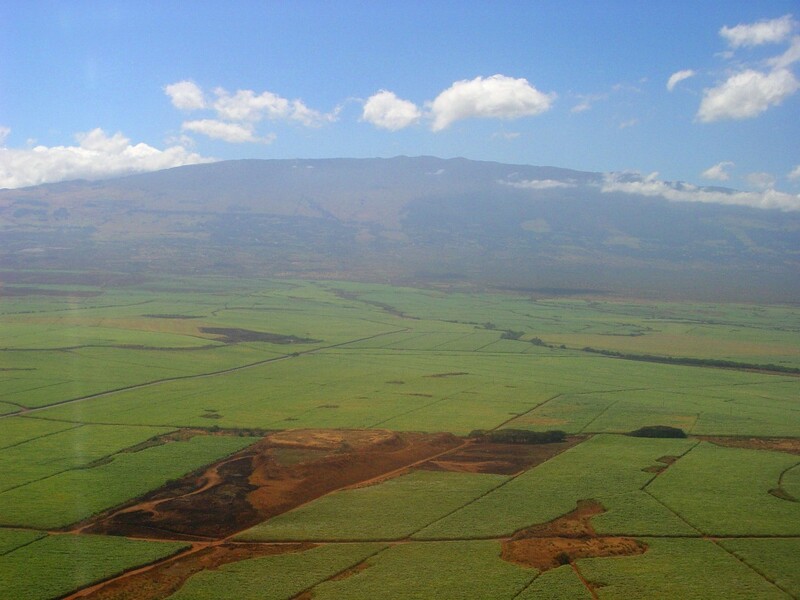 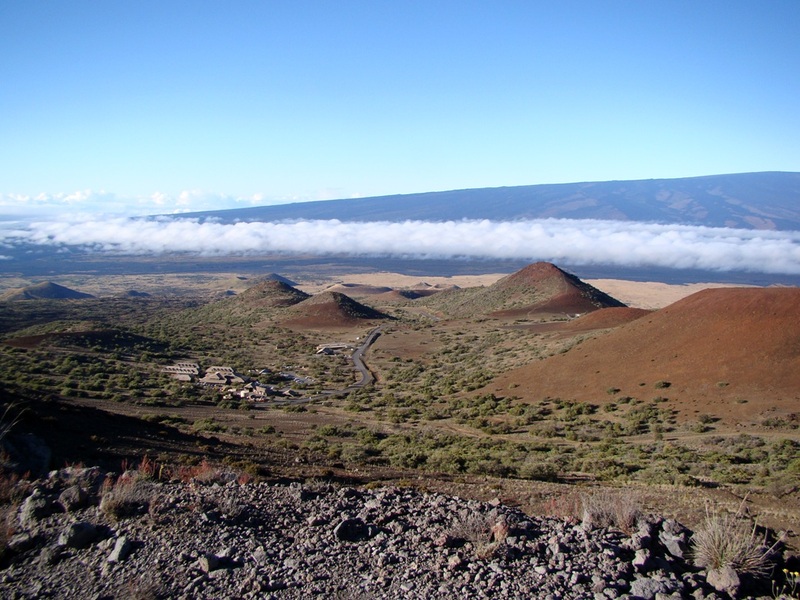 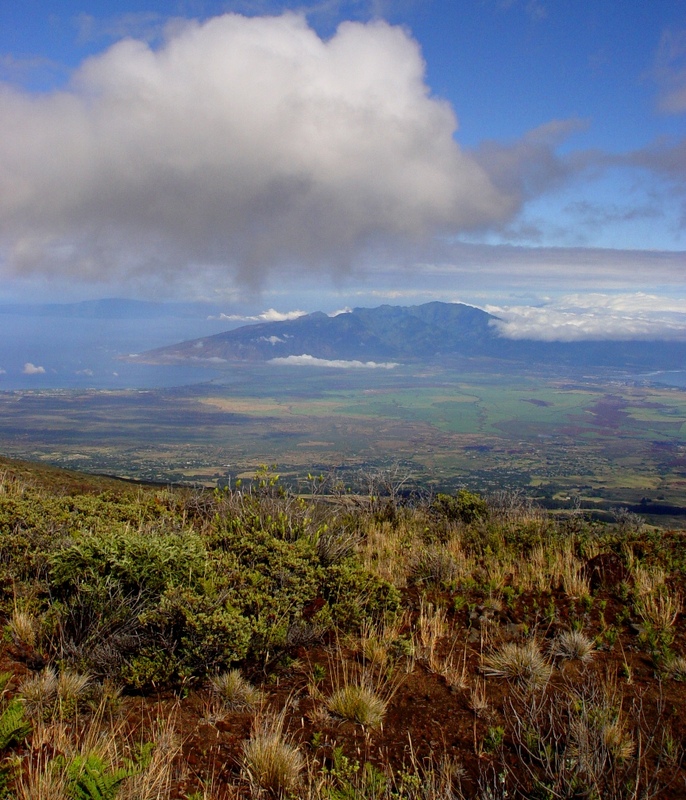 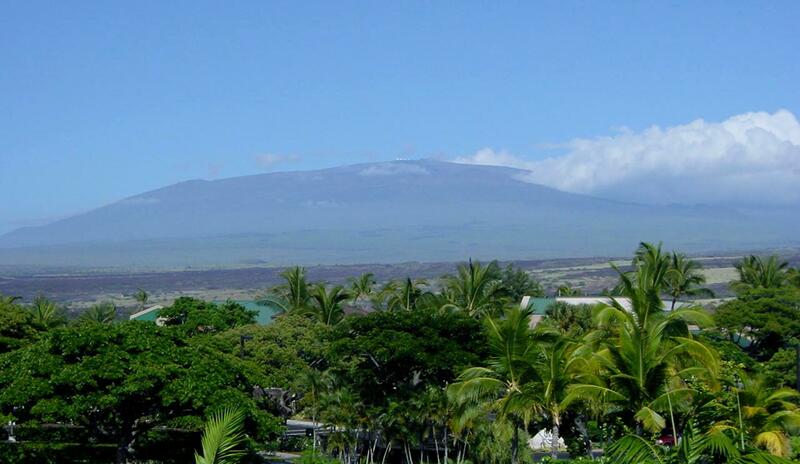 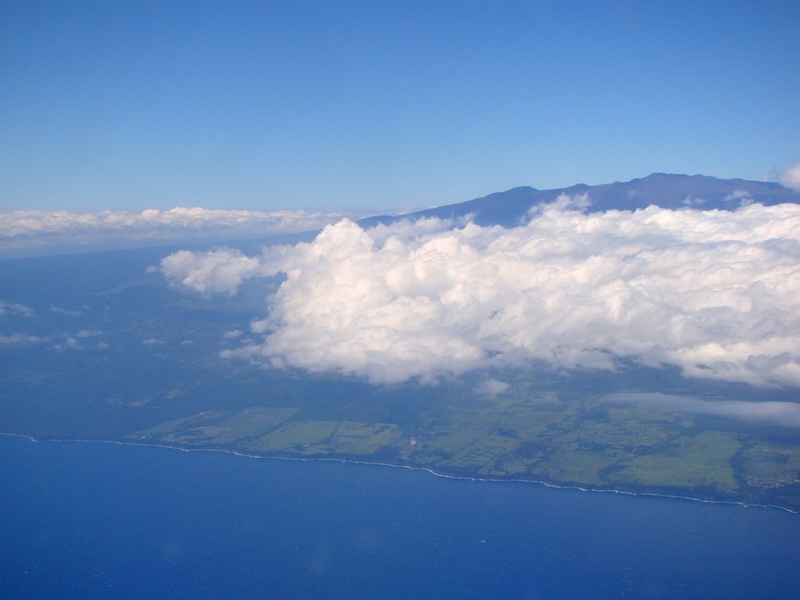 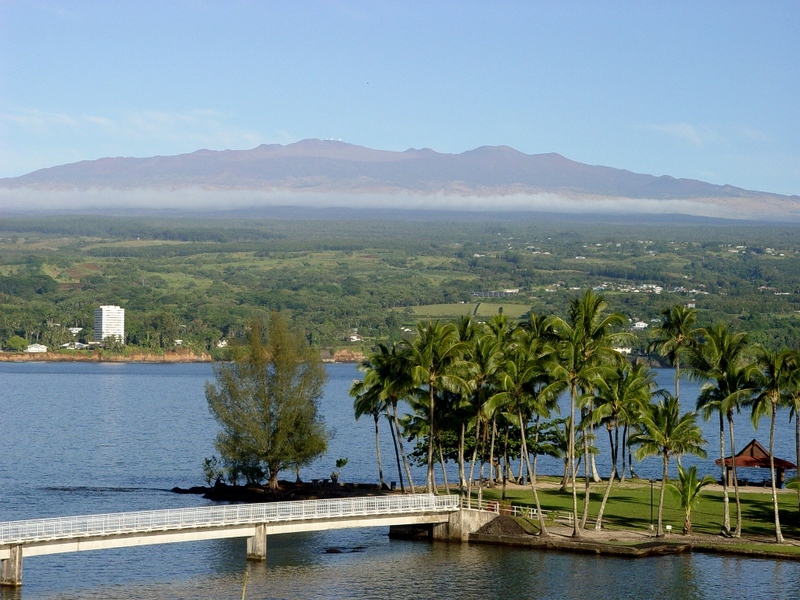 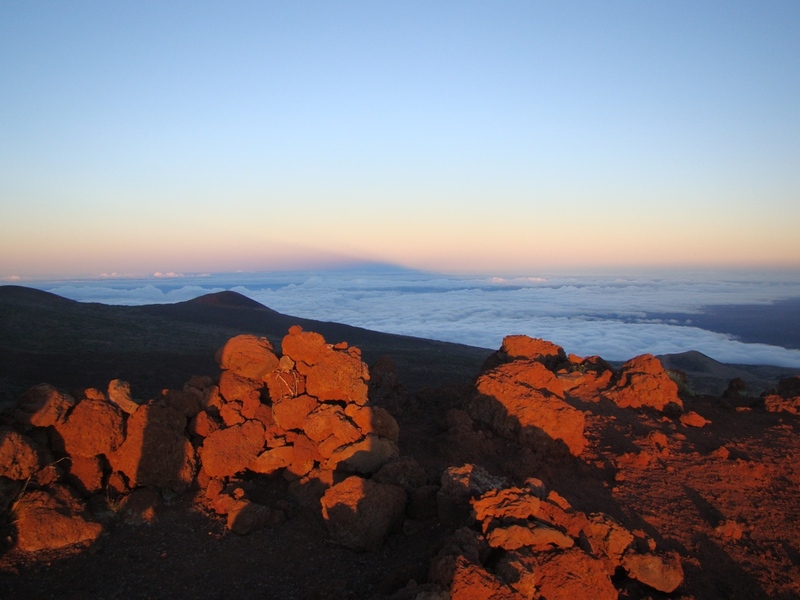 Mauna Loa and Mauna Kea can be considered twins in that they are both very tall shields (almost 14,000 feet), but they are also very different. 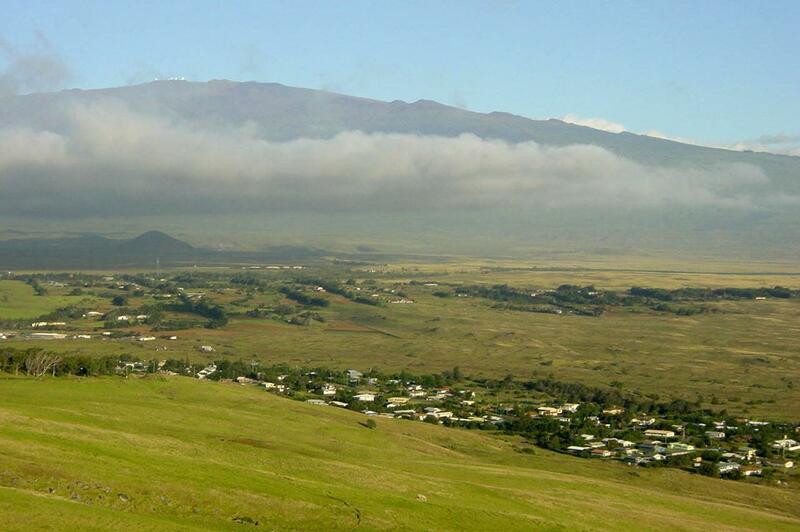 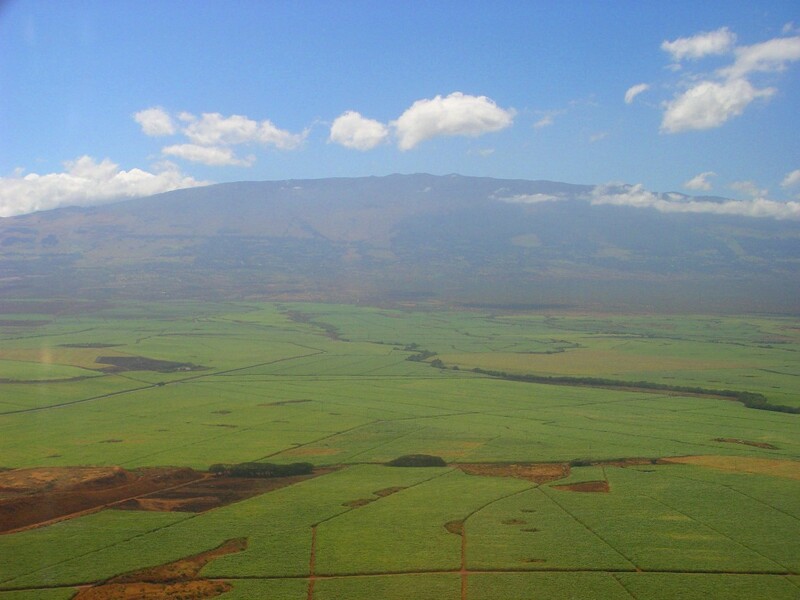 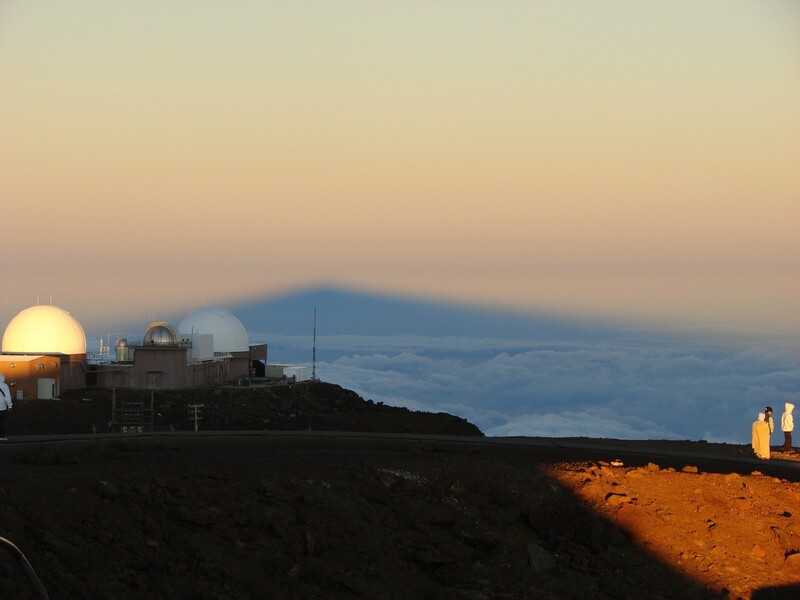 The somewhat older and less active Mauna Kea is steeper and has a much more irregular outline. 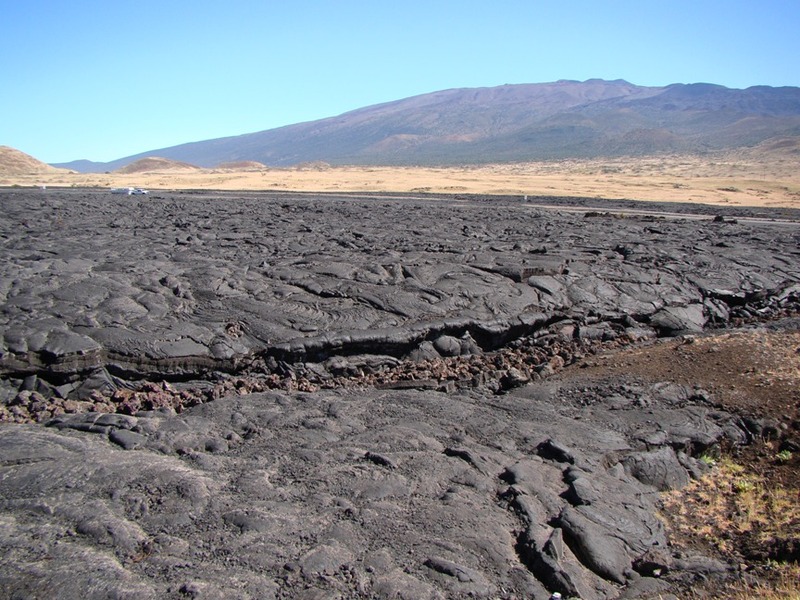 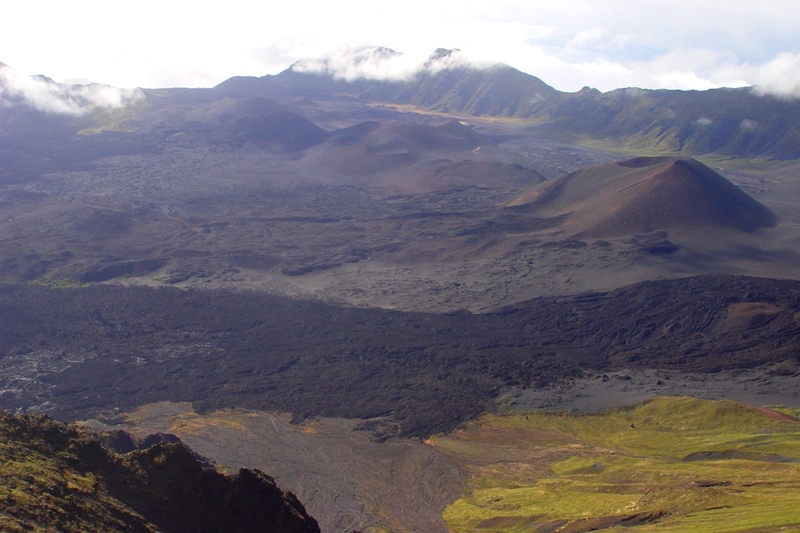 In the capping stage, the smooth original shield and caldera have been covered with tephra, basalt flows, and cinder cones. 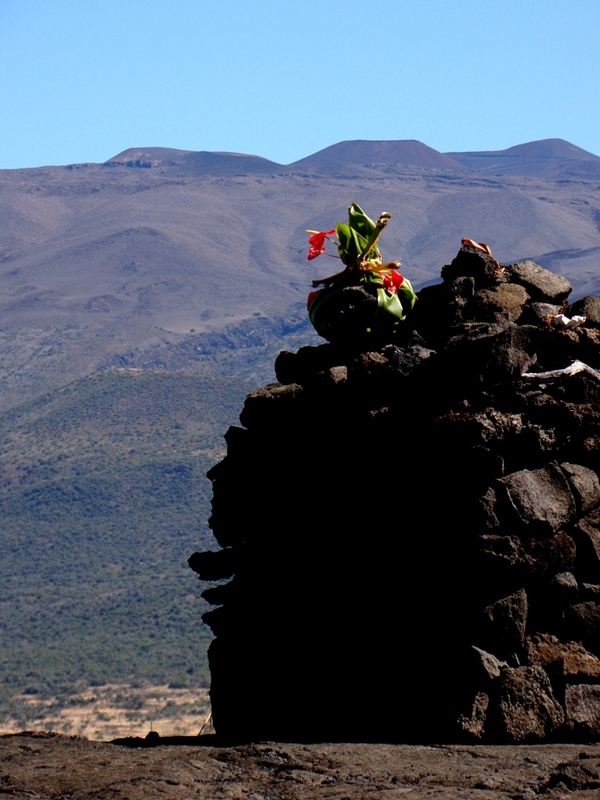 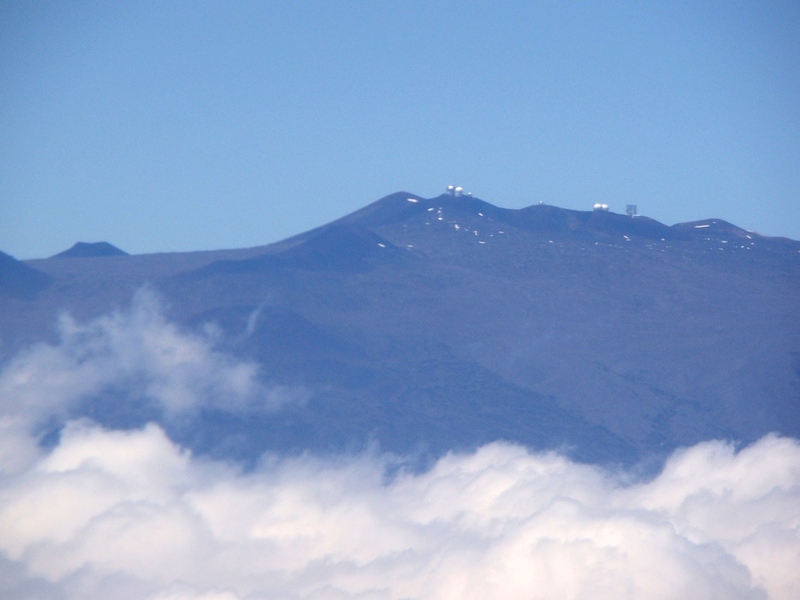 Mauna Kea has not erupted in some 5,000 years, and the summit is dotted with very expensive observatories. 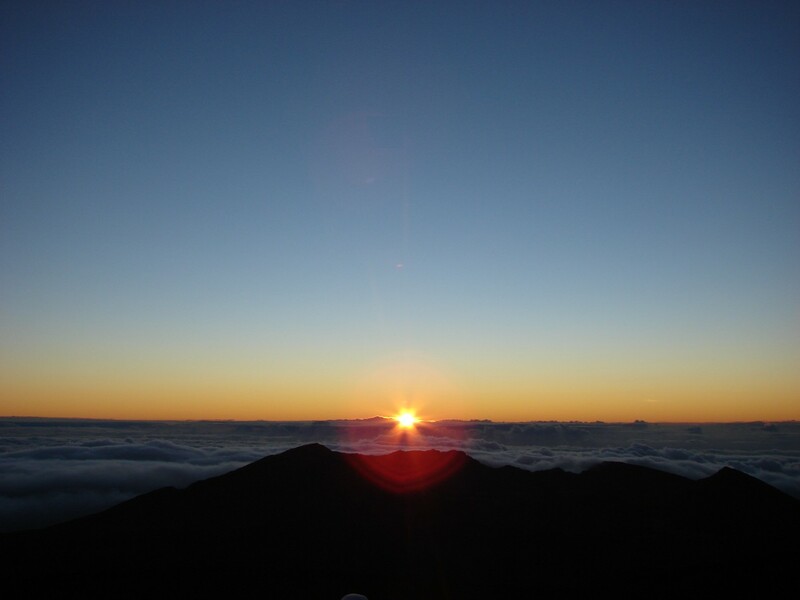 The Onizuka Center for International Astronomy has a Visitor Information Station at the 9,300 foot level of the mountain that provides nightly telescope observations of the cosmos free to the public. 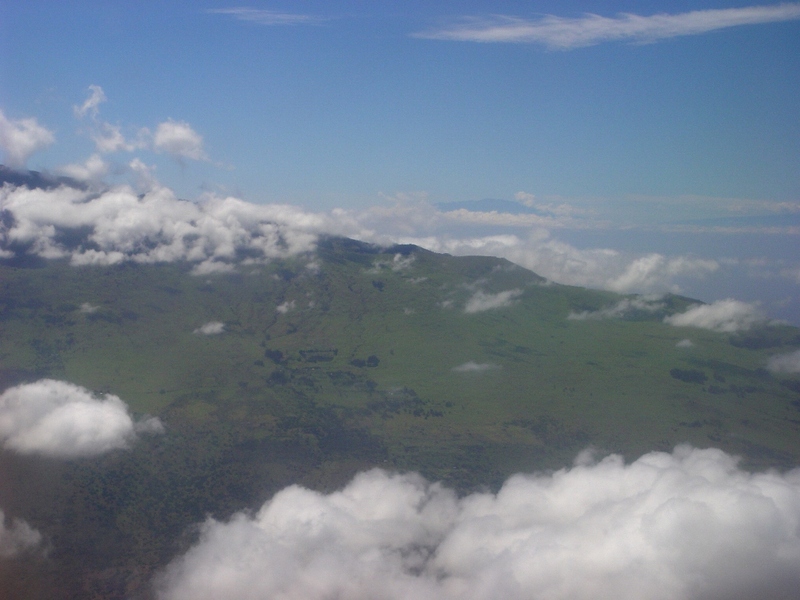 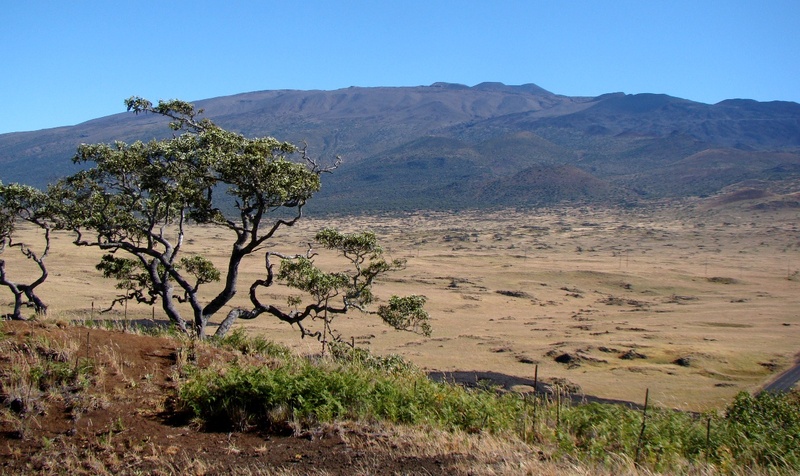 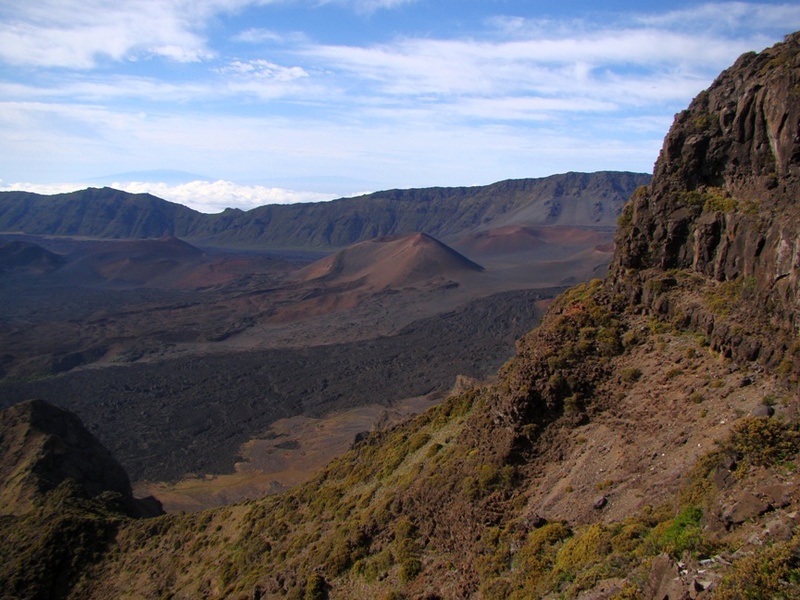 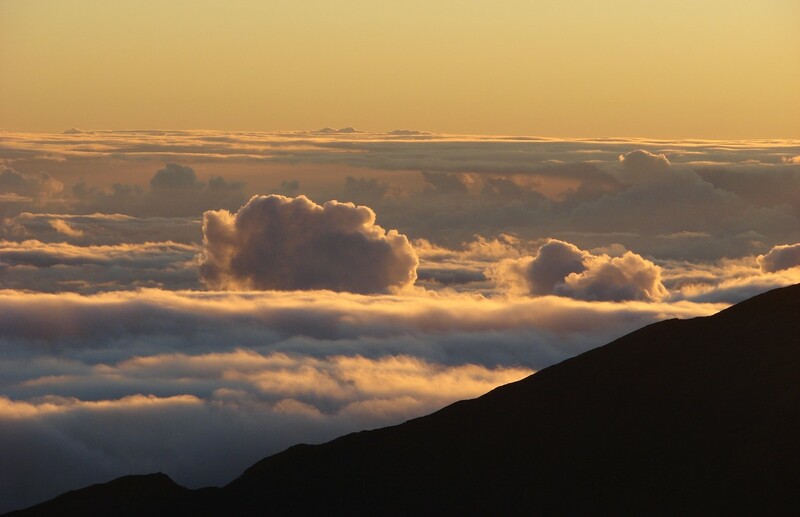 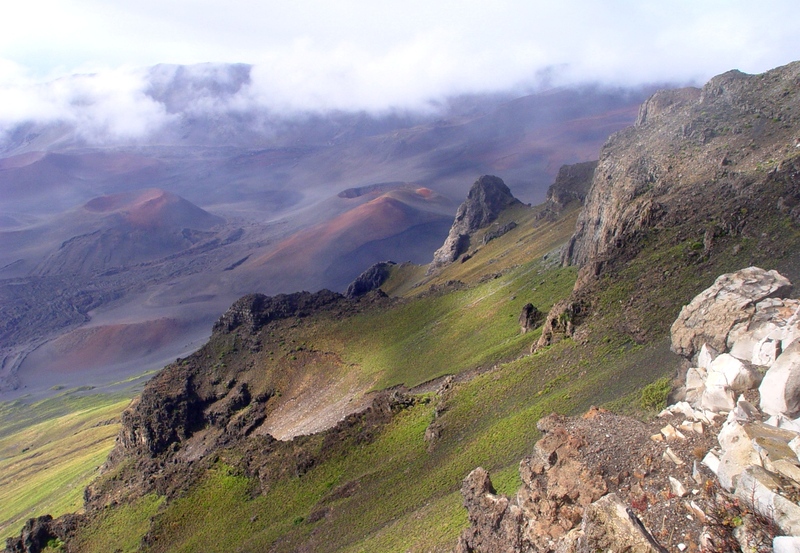 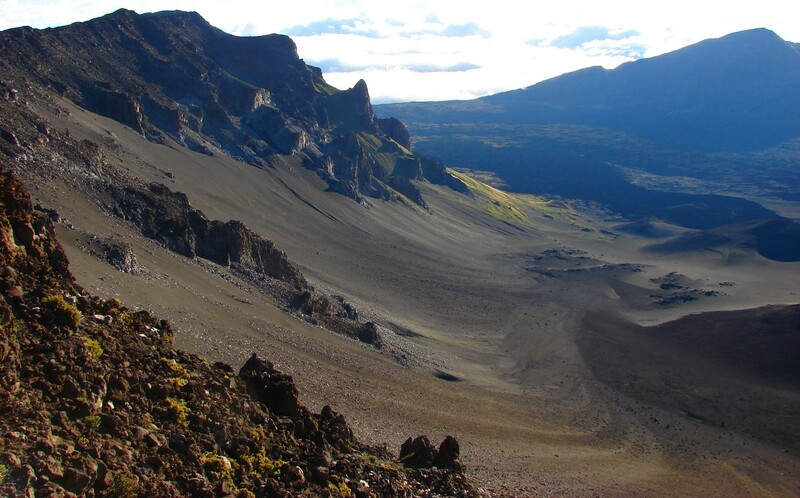 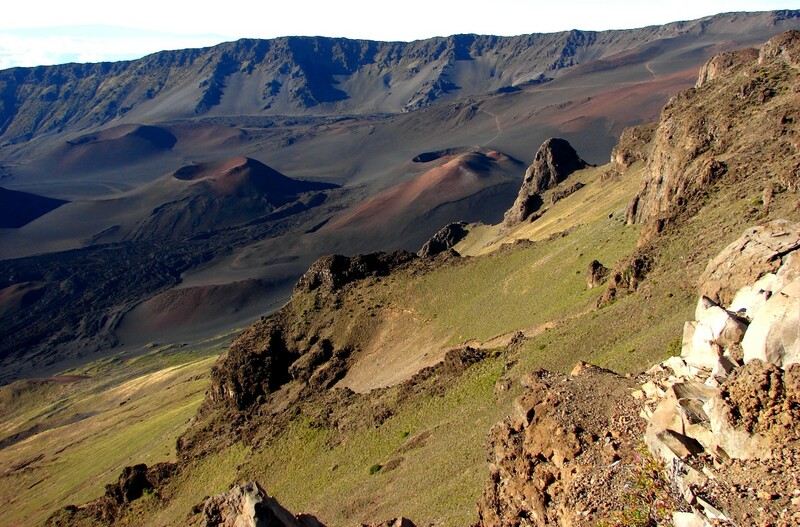 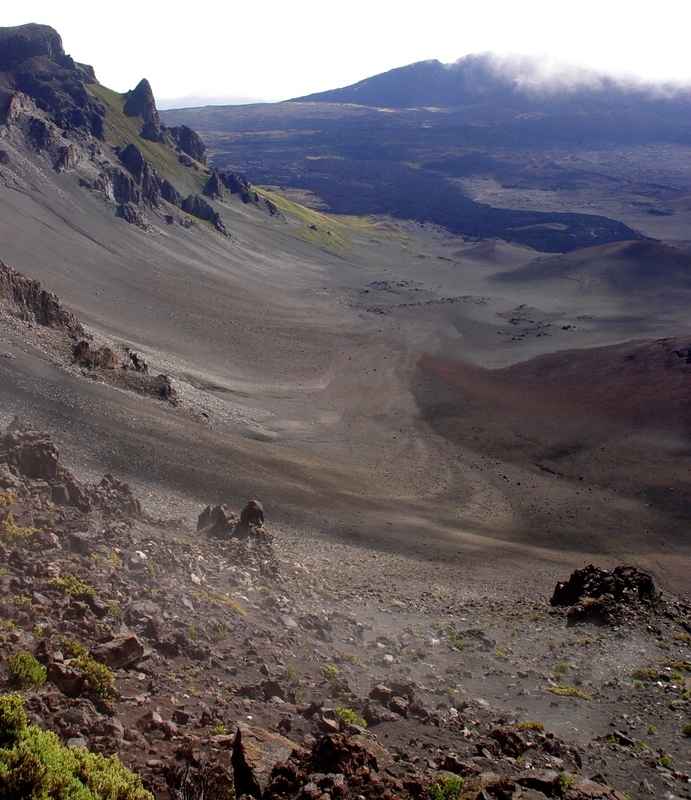 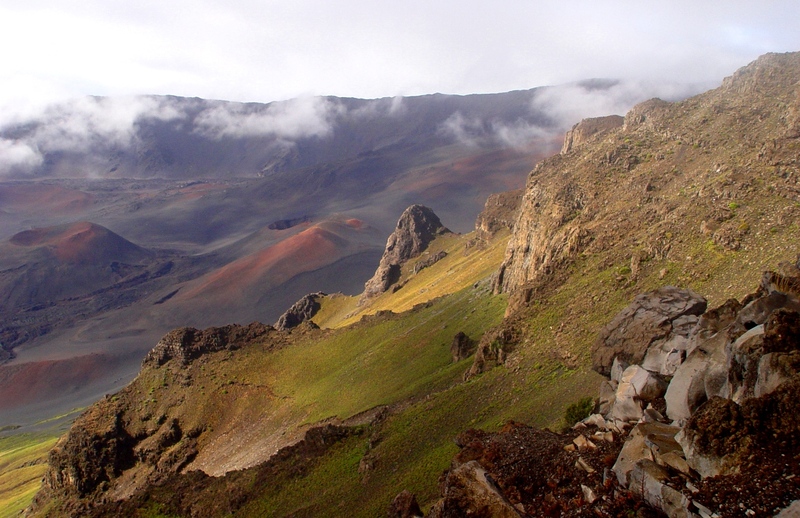 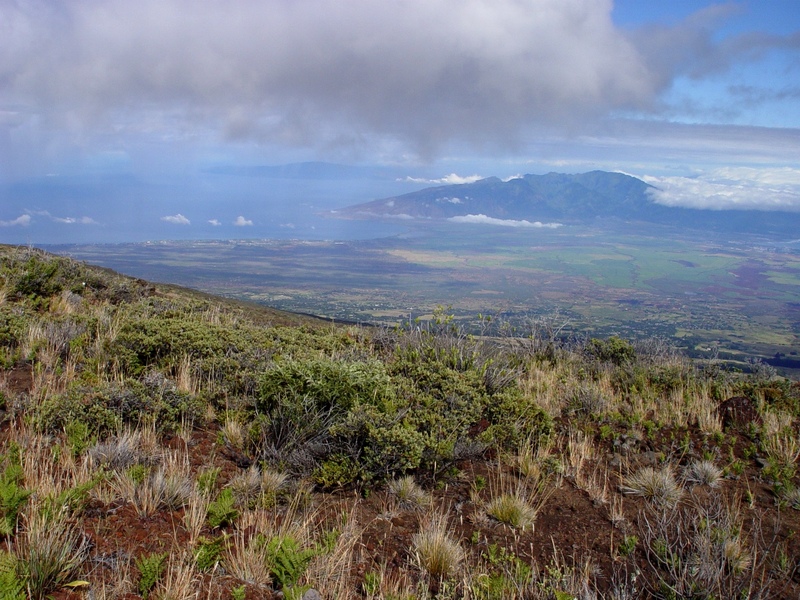 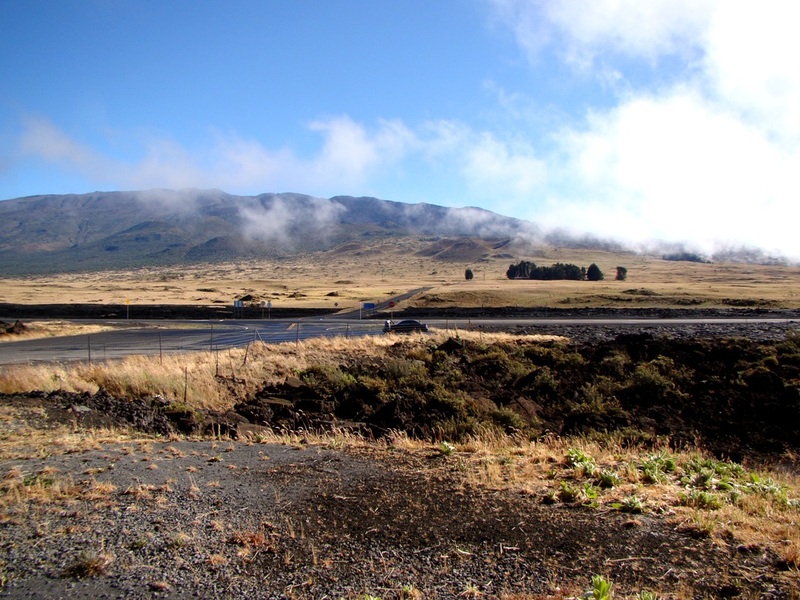 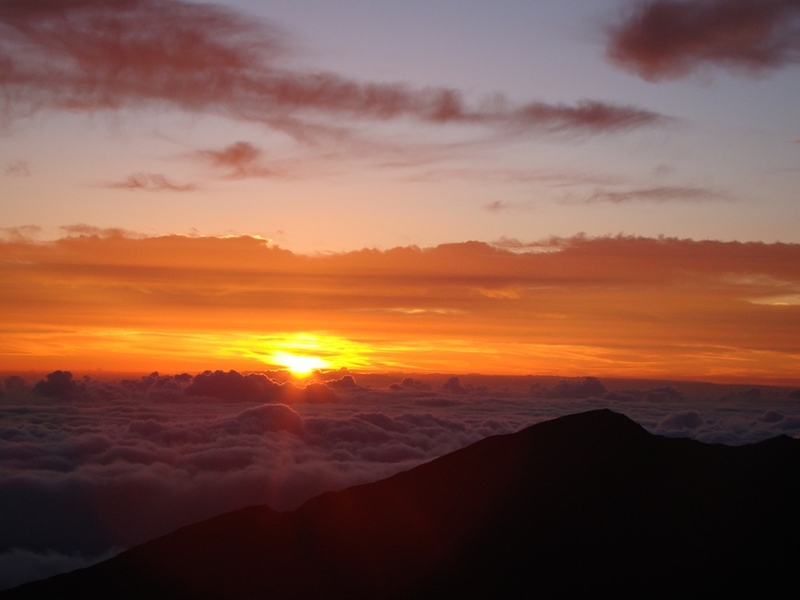 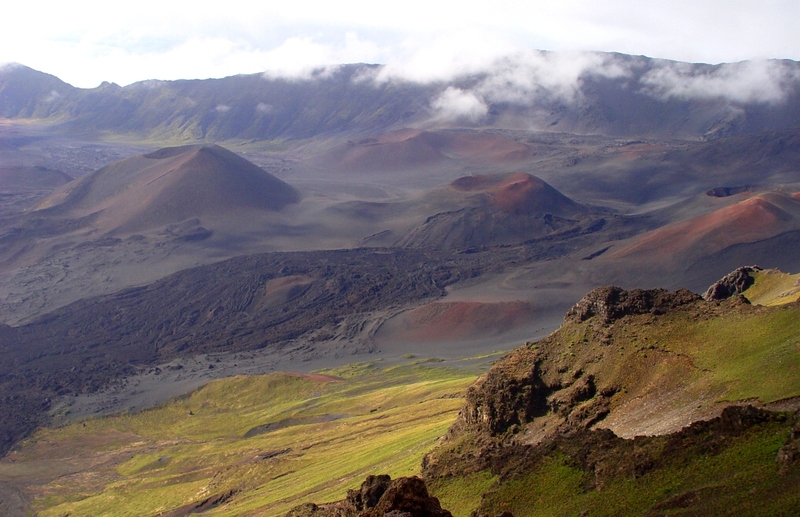 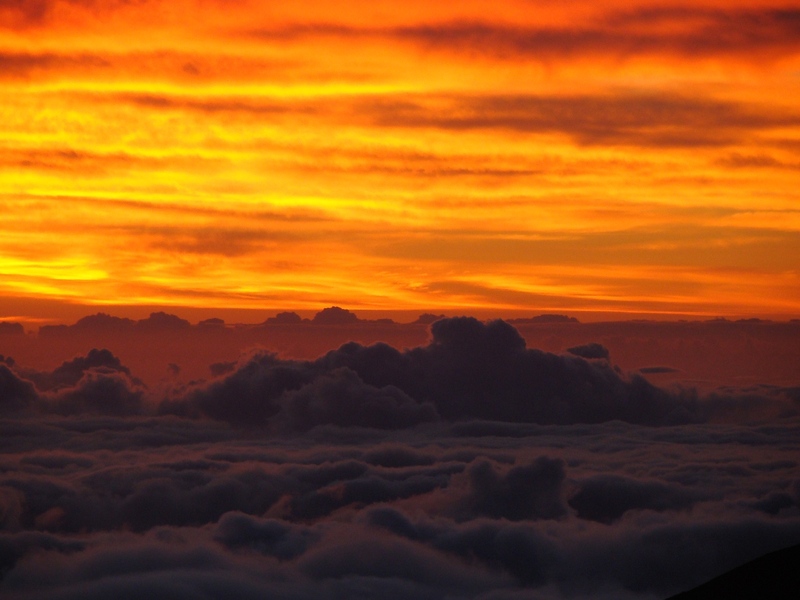 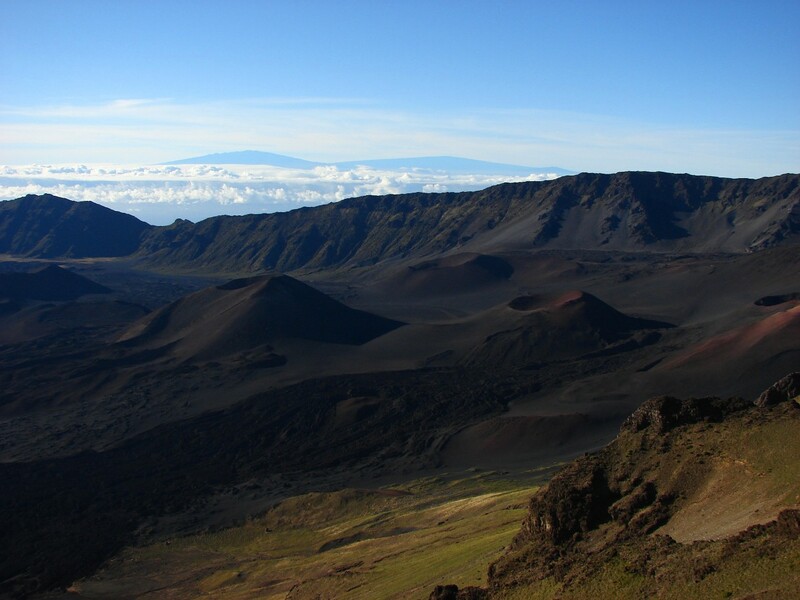 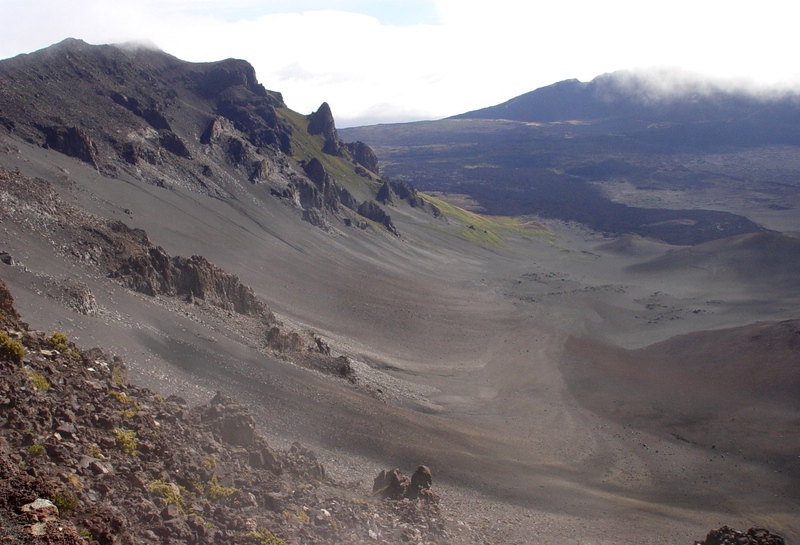 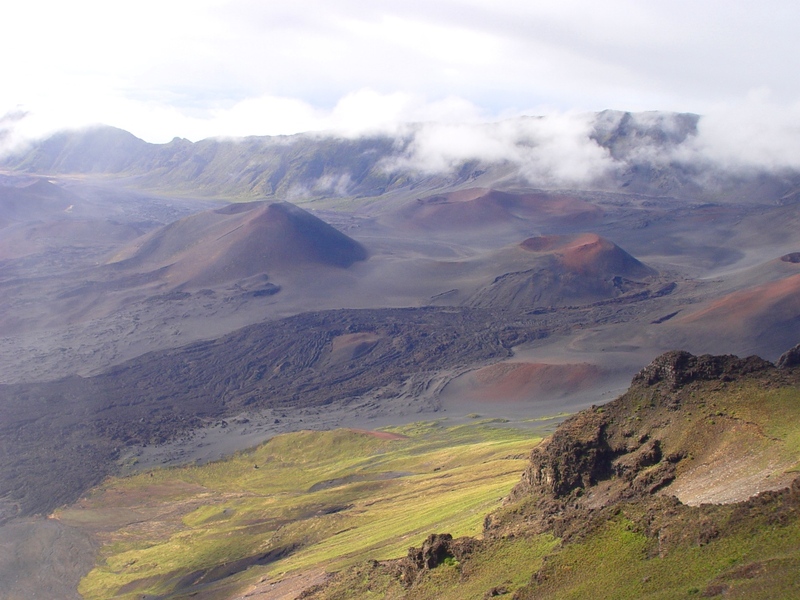 Haleakala on Maui: Haleakala rises to over 10,000 feet above sea level and mostly retains the original shield shape, but erosion cut deeply across the volcano forming gorges nearly as deep as the Grand Canyon. 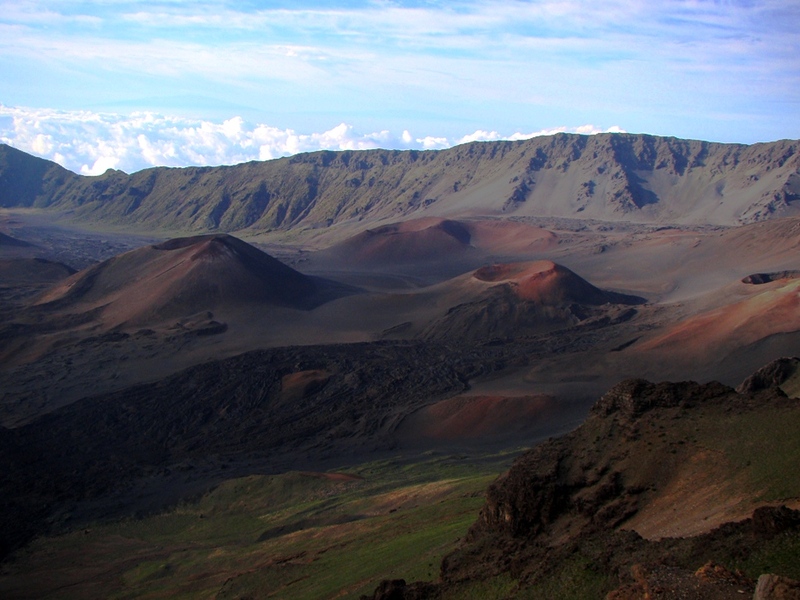 Subsequent eruptions have largely filled the valleys forming a huge crater-like valley below the summit. 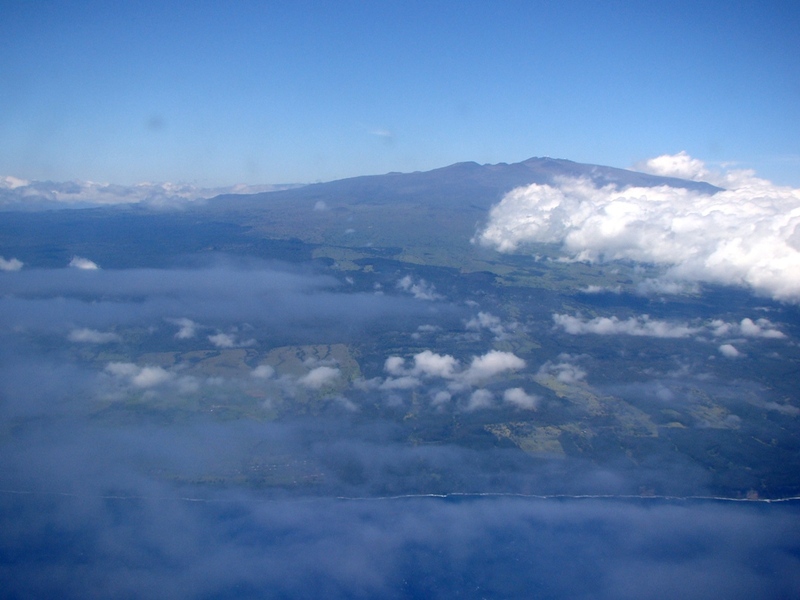 West Maui Volcano: Making up the western side of Maui, the West Maui volcano is barely half the height of Haleakala, and is essentially extinct. 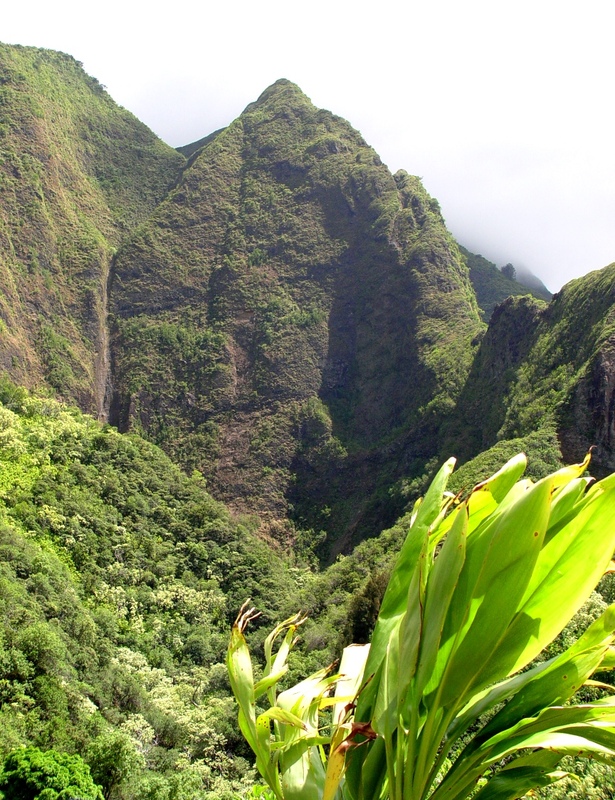 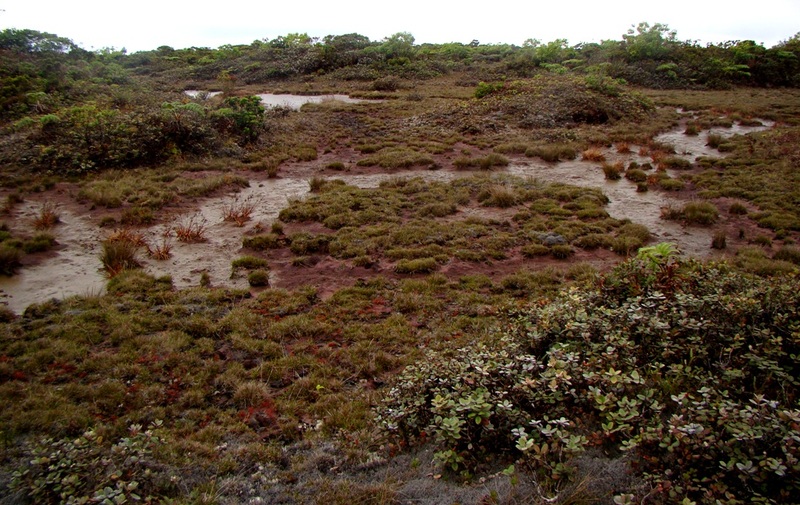 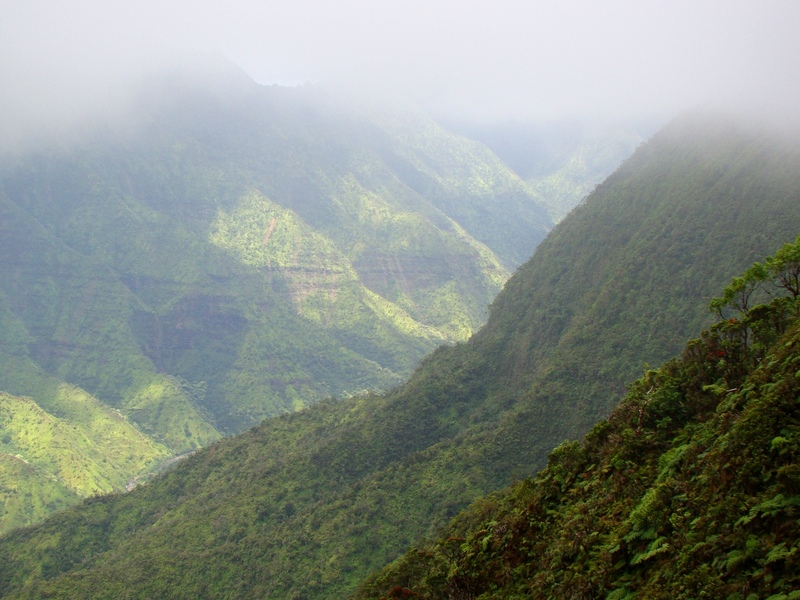 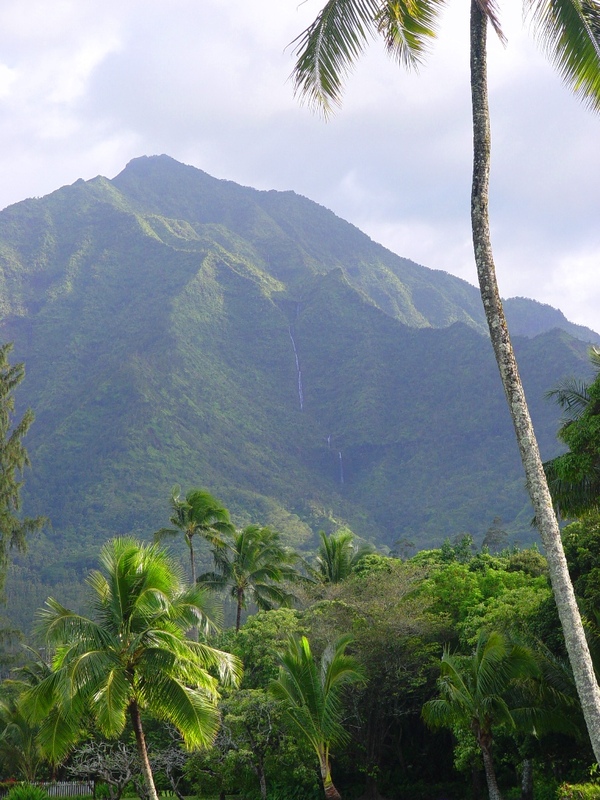 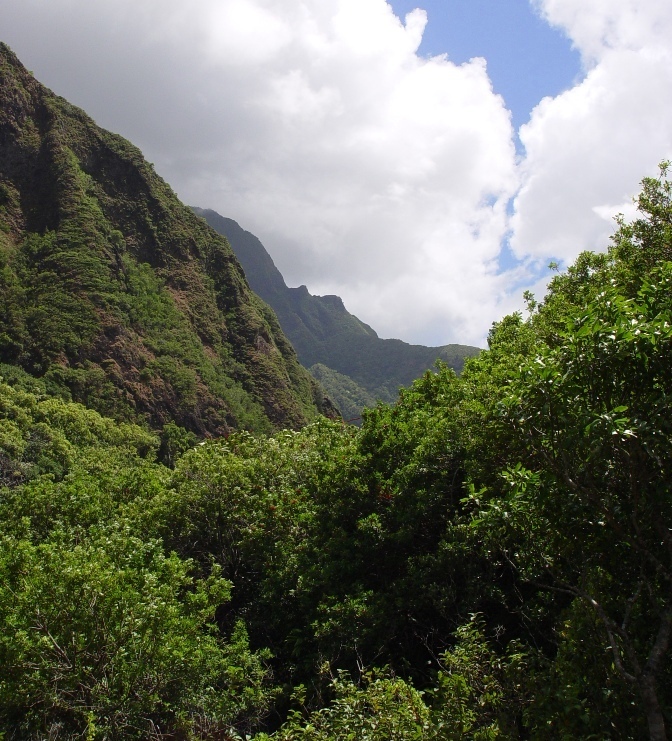 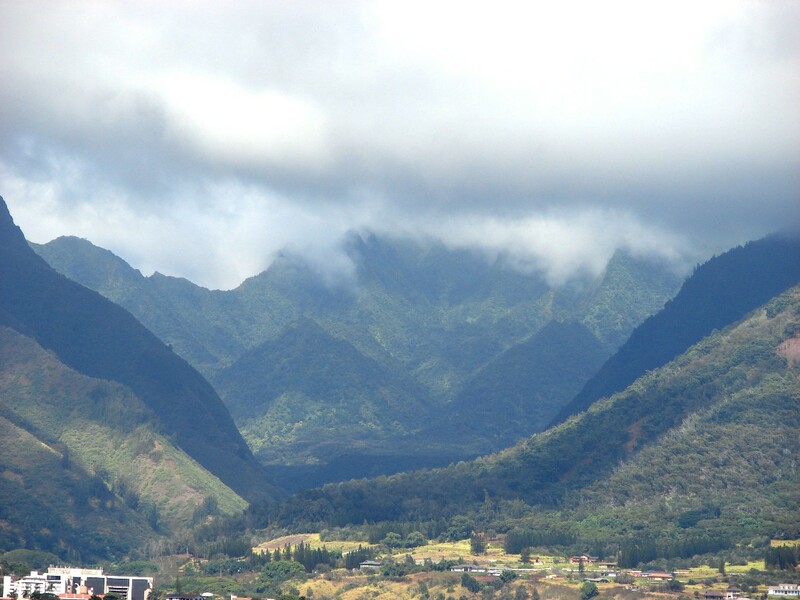 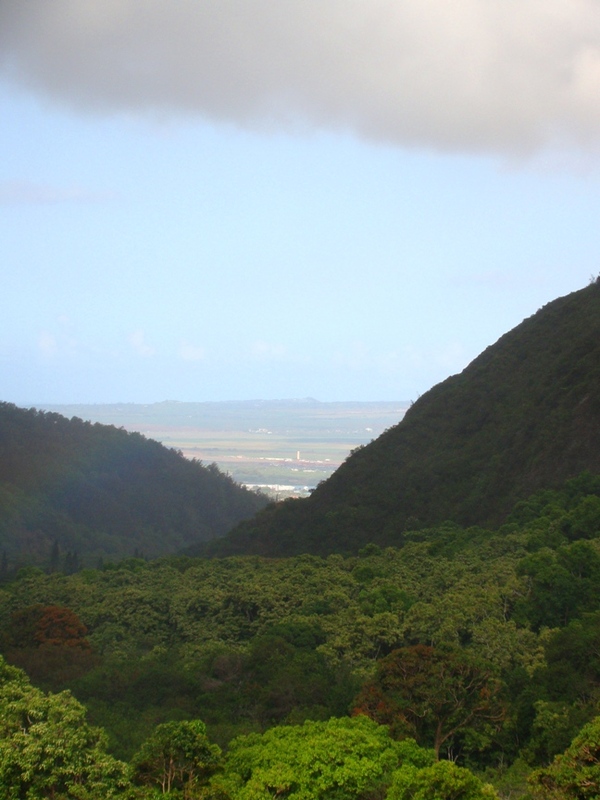 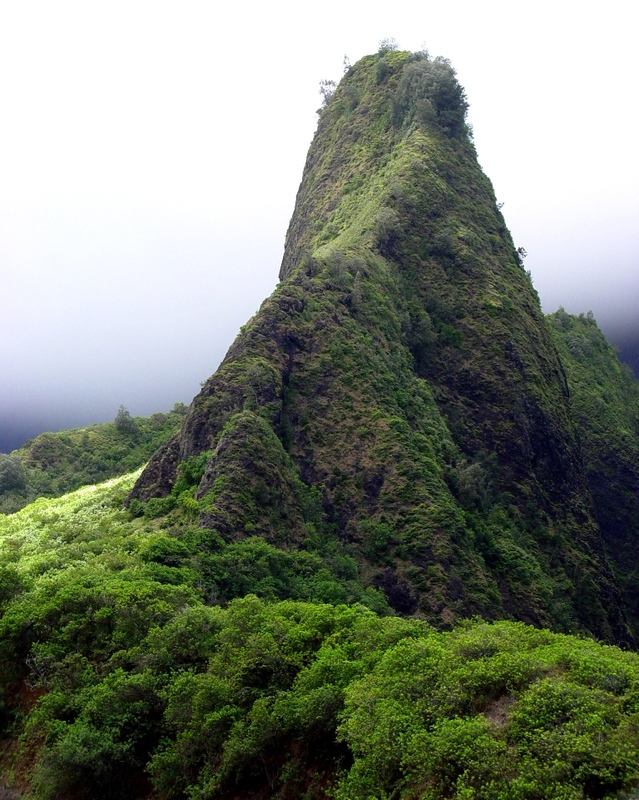 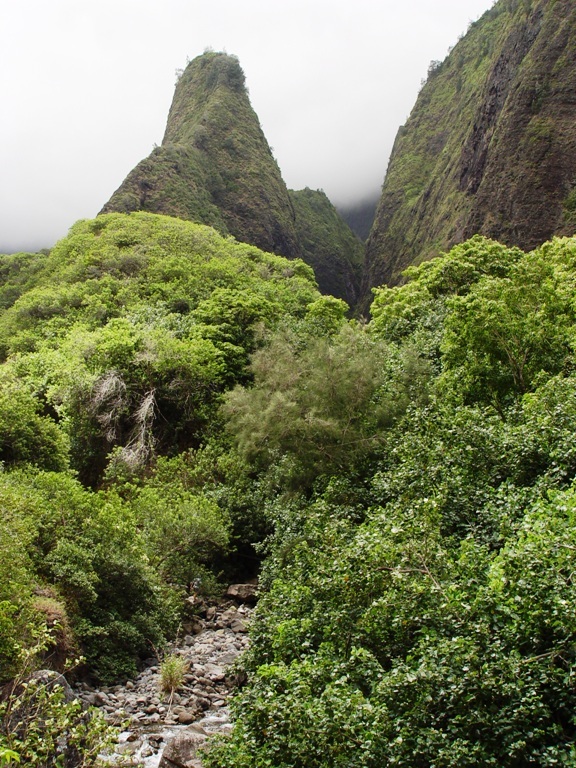 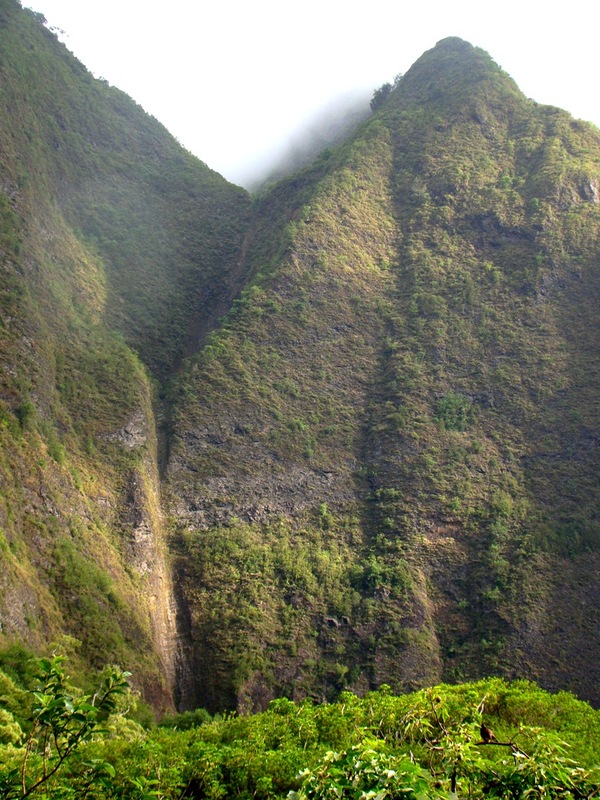 It is deeply eroded, especially in the center where the central crater has been eroded out at 'Iao Valley. The summit receives in excess of 300 inches of rain each year. 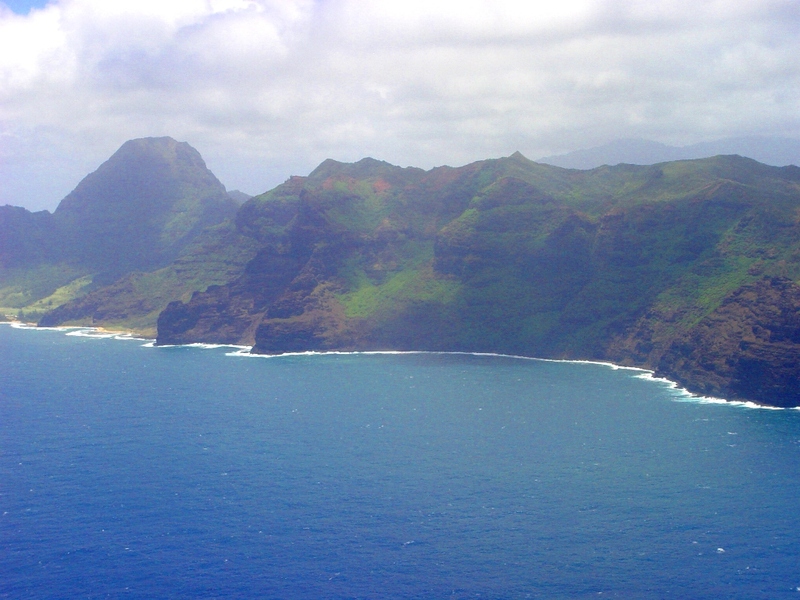 Kaua'i: The oldest of the main islands and the most eroded. 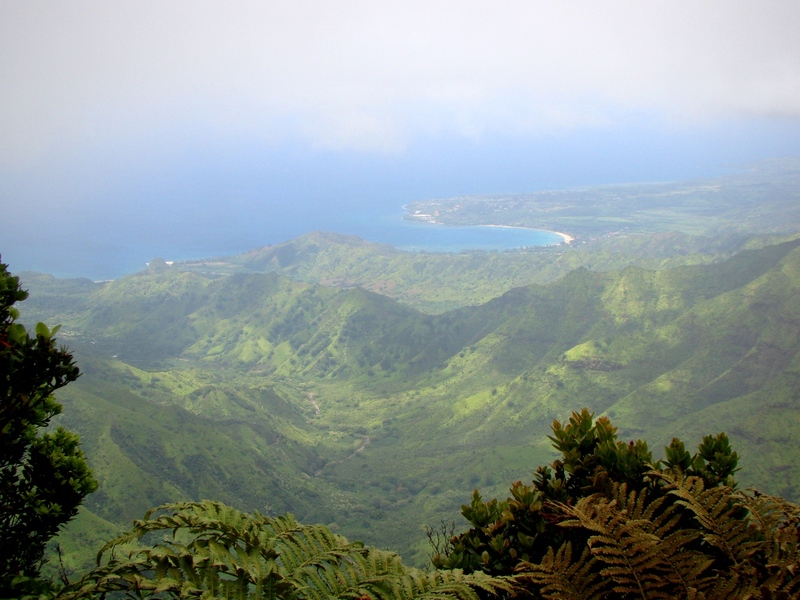 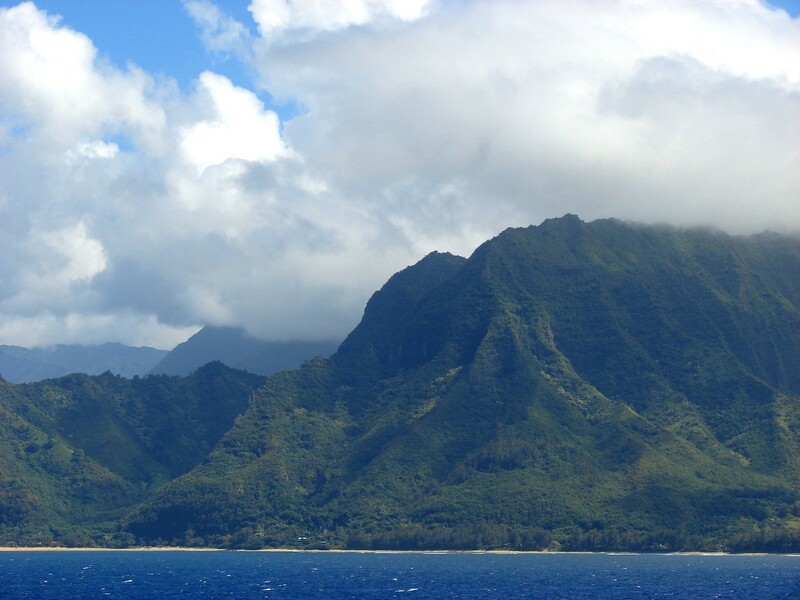 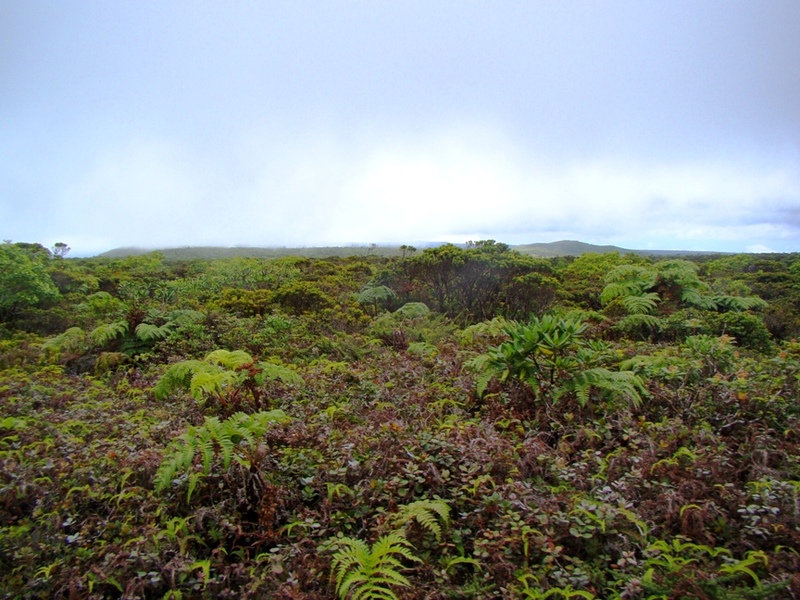 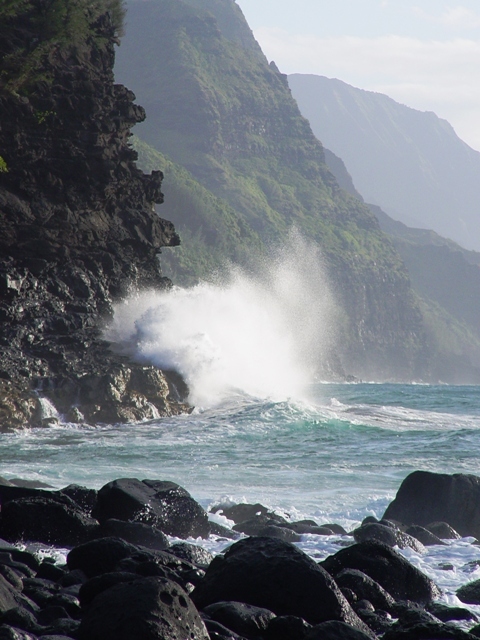 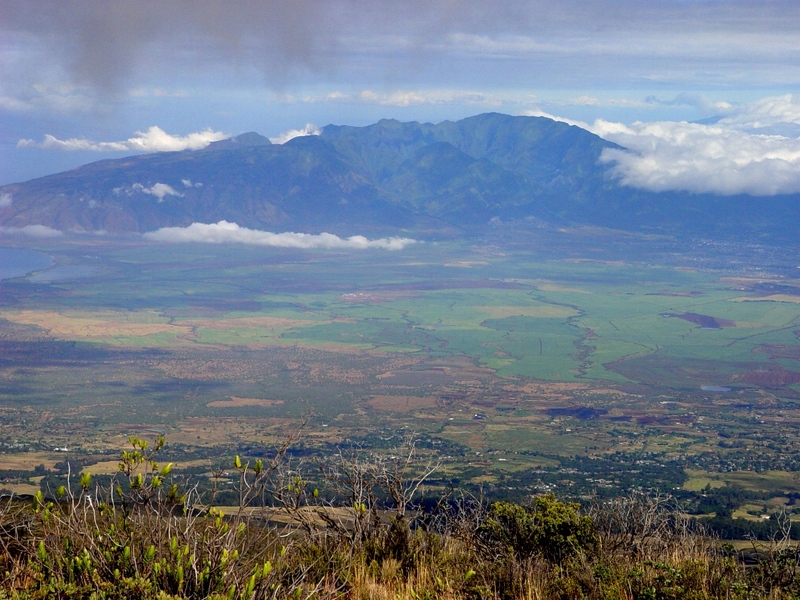 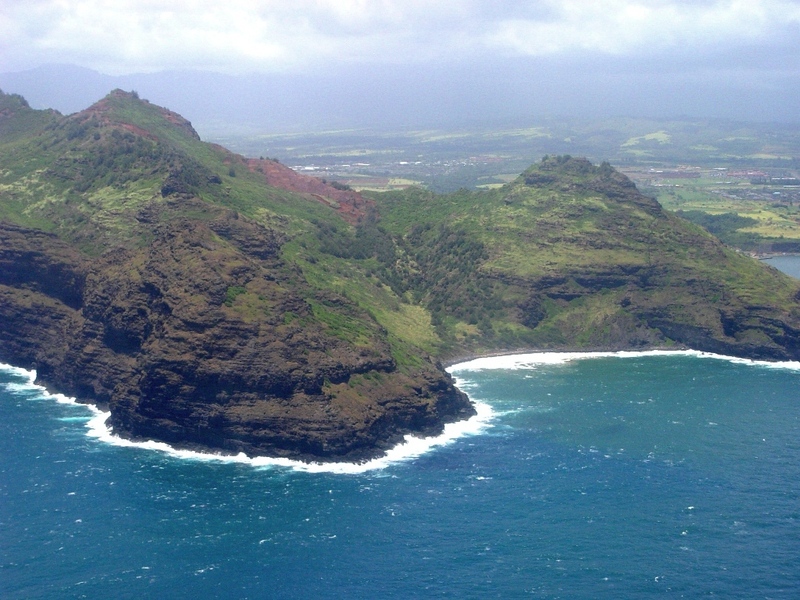 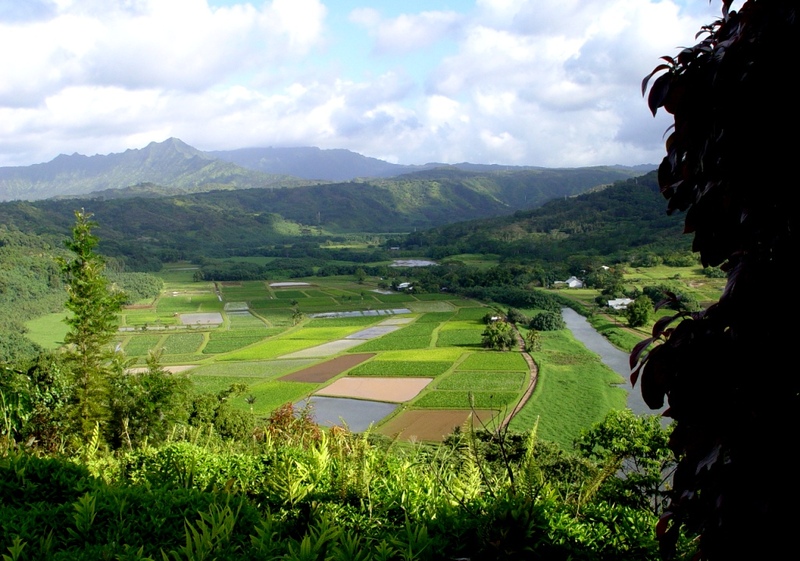 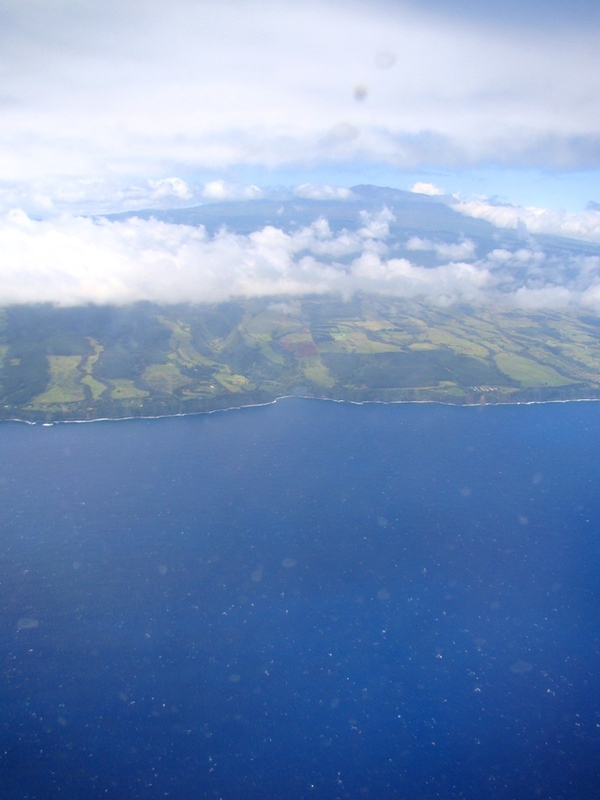 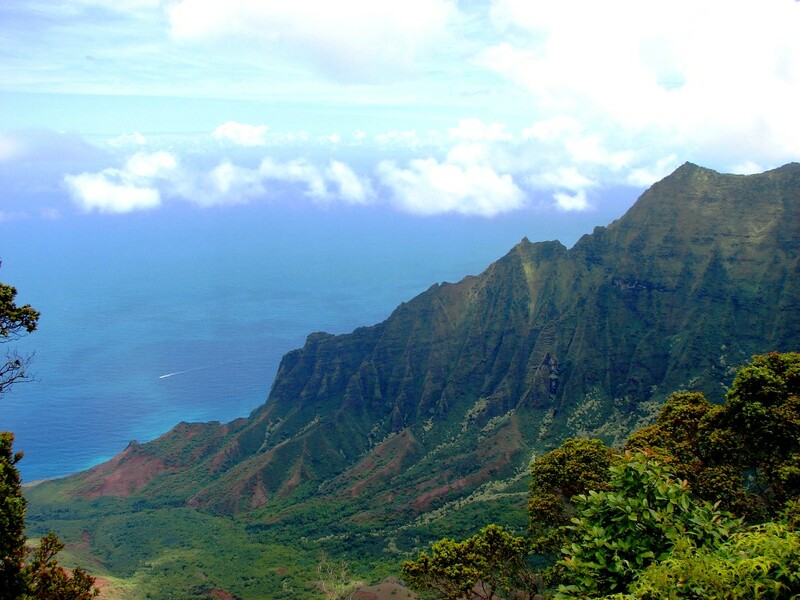 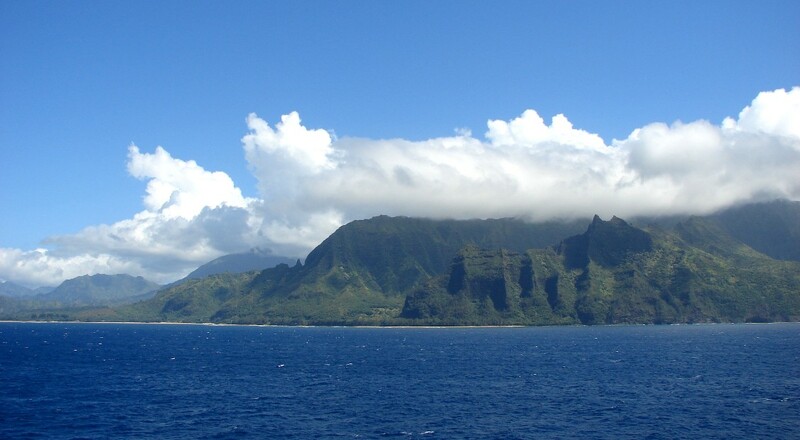 Unlike the other islands, Kaua'i is essentially a single volcano, albeit a complicated one. 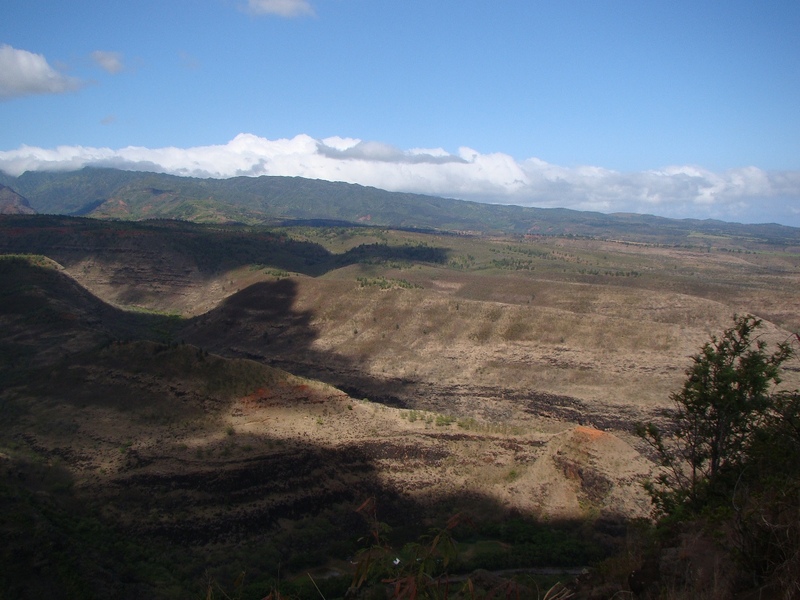 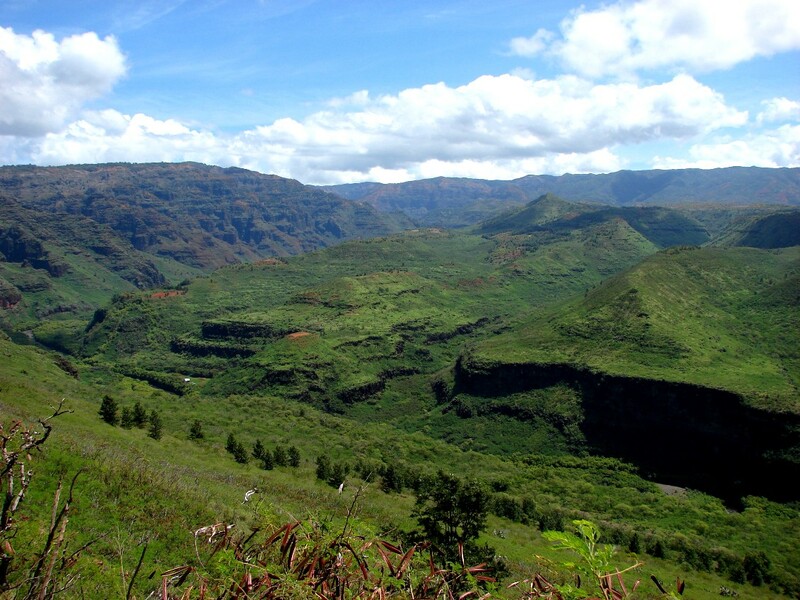 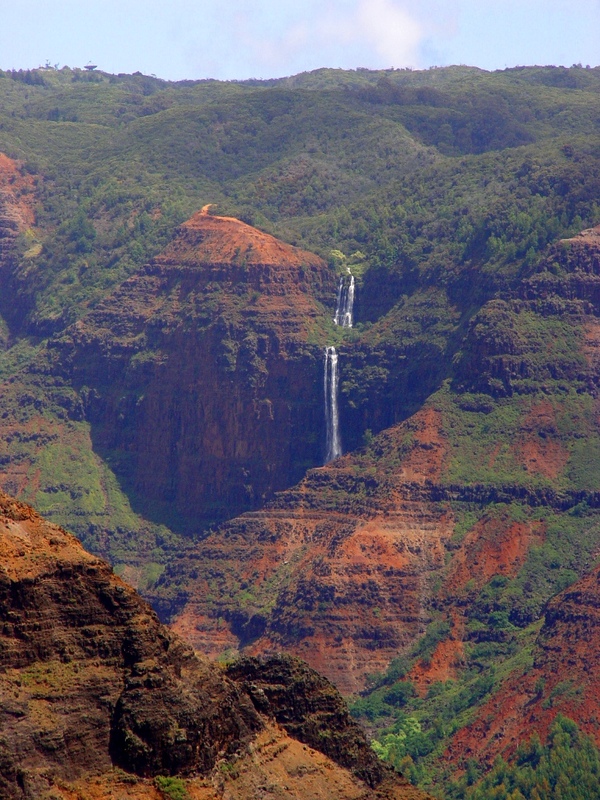 Of the complications, a fault zone, led to the creation of one of the most scenic wonders of the islands, Waimea Canyon. 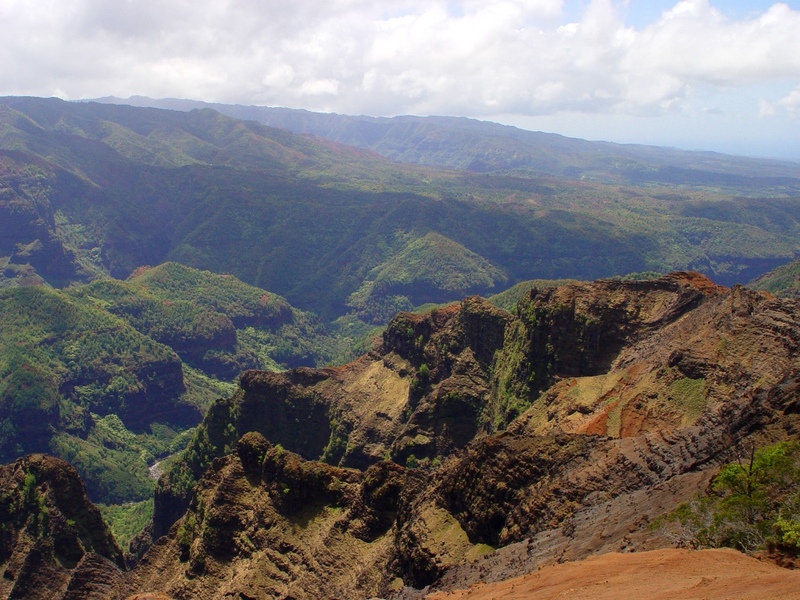 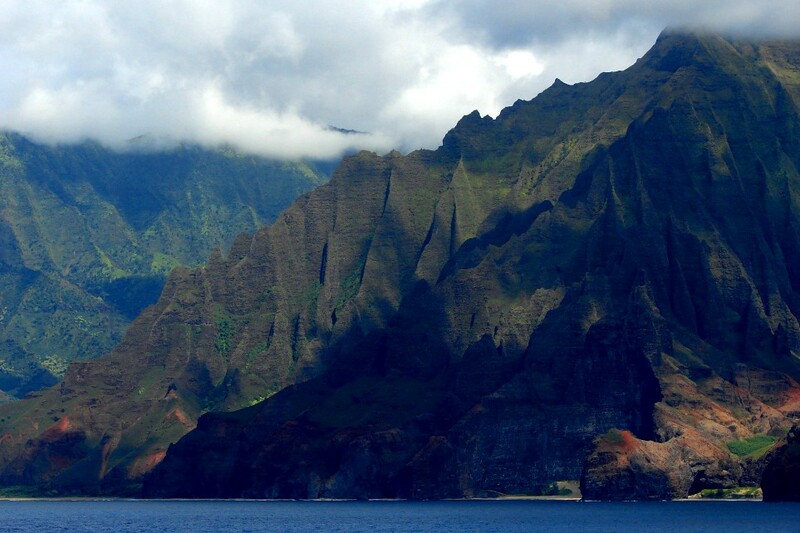 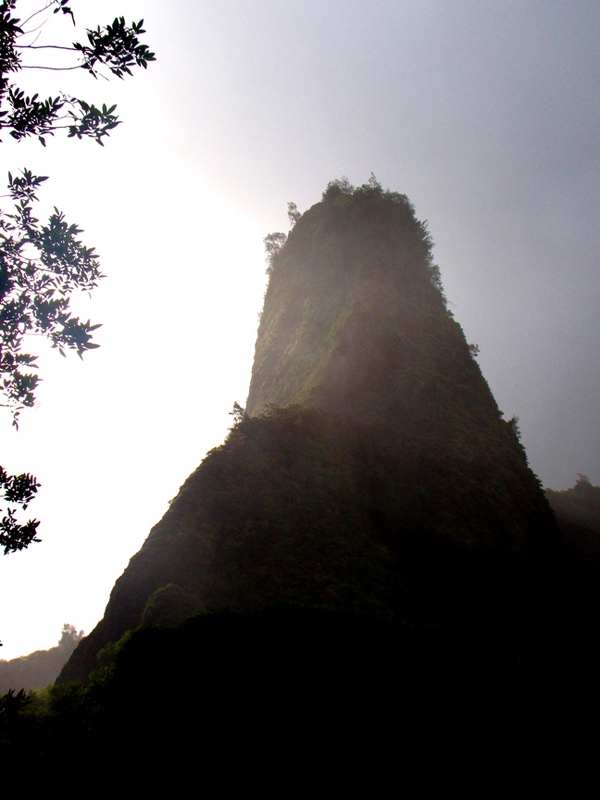 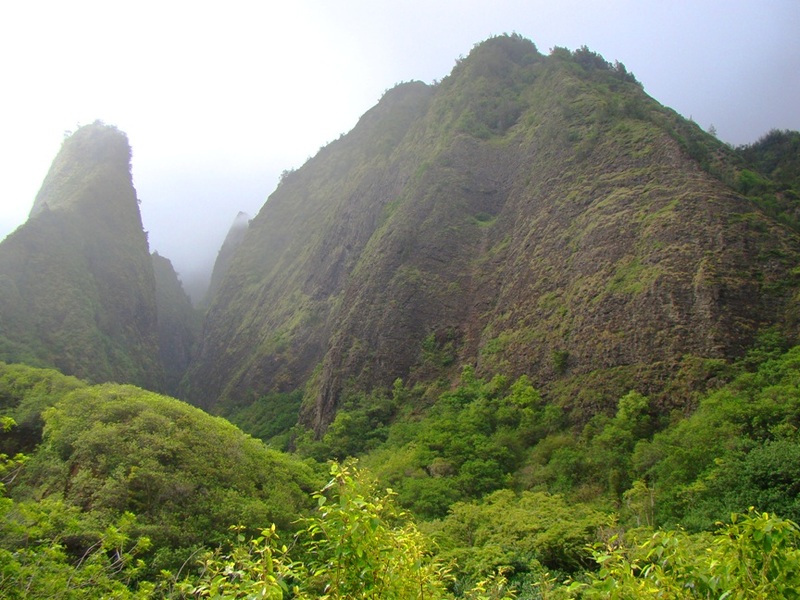 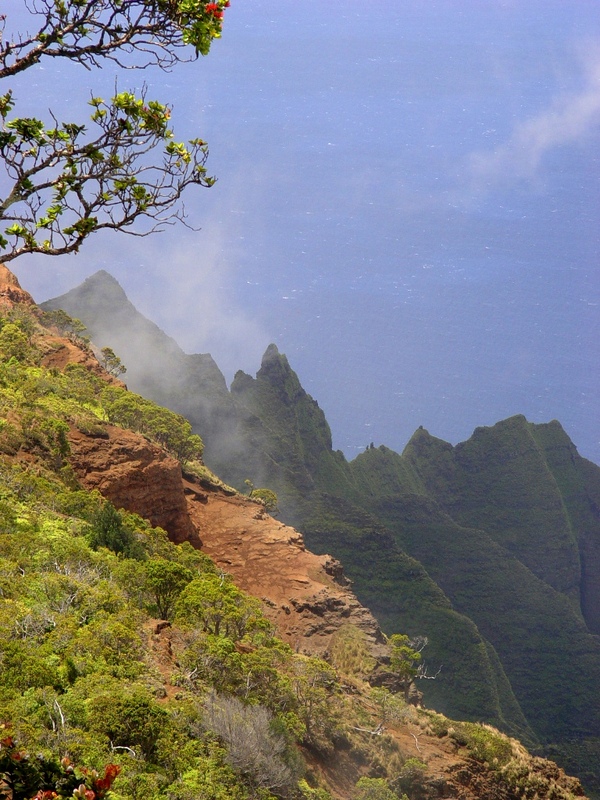 Giant landslides have produced the spectacular cliffs of the Na Pali.